Today, World Cafe welcomes Rodney along with Briana Younger, music writer and editor for The New Yorker, and Jon Batiste, Grammy-nominated jazz artist and bandleader of The Late Show with Stephen Colbert, for a roundtable discussion on black creators shaping the future of music. We spoke about how artists like Masego and Braxton Cook represent a resurgence of black instrumentalists at center stage; how storytellers like Saba use personal tales to illuminate systemic issues; and how experimenters like Tierra Whack — who got a 2019 Grammy nod, but not for her format-shattering audio-visual masterpiece Whack World — may be innovating so quickly that the industry can’t keep up. Rodney Carmichael: The Grammys have historically had a hard time appreciating and awarding black artists on the cutting edge. And then there’s the irony of Neil Portnow [from] the Recording Academy making that statement last year about women artists needing to “step up,” and the rage that rightfully came upon him after that. And here we have a young artist who in every way, shape and form is out innovating and outperforming everybody else, regardless of race or gender, and the Grammys are failing to innovate fast enough to keep up with her. Briana Younger: Masego is a singer/saxophonist. He has this incredible energy as a person, but it translates, also, into his music: He’s extremely interested in the craft of playing saxophone and how he can bring that texture into this almost retro-R&B style of music. It’s kind of representative of, [not] a trend, but like a resurgence, of black instrumentalists. Hip-hop or R&B, in a contemporary sense, have their own sort of musicality that isn’t always explicitly rooted in this live tradition. Particularly when hip-hop came to really be popular,there was kind of this this pushback that it wasn’t really musical. Because hip-hop is the predominant genre [in] the mainstream, that means hip-hop is speaking for a lot of us — and so for the feeling to be that hip-hoppers aren’t musical is to say that black people, by extension, are not musical. And obviously, we have an extremely long and rich tradition of playing live instruments. I’m happy to see that in the commingling of those genres, and these artists who are coming out with their instruments and being like, “Yeah, I can I can play the violin. I can play the sax. 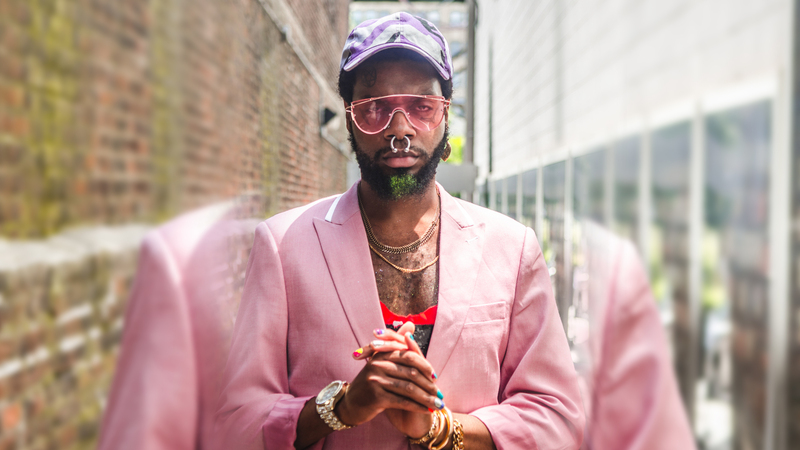 And I’m going to do it.” When you’re seeing the success of people like Masego playing these live instruments in these very public spaces, I think it connects the dots back to the traditions that we come from, and I think that’s incredibly important. It kind of feels like artists coming back for our things. Jon Batiste: Before music was something that was bought and sold and put into genre categories and all these things, it was the fabric of everyday life. It was a part of the functional community: There’s music when someone’s born, there’s music when someone dies, there’s music to eat to and music to sleep too, there’s music everywhere. It was a way for us to worship, or a balm for our pain, or a way for us to figure out who we are and affirm our humanity in situations that were trying to negate that we were even human. We were property. So if the idea of us being property urges us and inspires us to create music and art that’s transcended the world, anything that comes in that lineage has validity — whether it’s the blues, to hip-hop, to anything beyond that we don’t even know is about to happen. So for me, I think that it is it’s less about reclaiming and more about us connecting to who we always have been. That’s what we do. Batiste: The idea of of being counted, being seen and acknowledged for who you are as a human has taken us a very long time to even have conversations about openly in this country. So we’re just starting to really come around to the idea that these narrow definitions that have been a part of the mythology of our country don’t actually hold the capacity of black brothers and sisters across the world. These are just tropes, and we don’t have to fit into them. And if we do fit into them, there ain’t nothing wrong with that either. Younger: I think it also has to do with unlearning this idea that whiteness is like the general resting station of the country. The whole idea of a black person doing something “alternative” is rooted in the idea that black people are one way, and that way is a certain distance from whiteness. [But] if whiteness isn’t the center of your world, then black people doing anything is just as regular as breathing. That gets lost when whiteness is everywhere. Batiste: I’d like to ask folks about the idea of “black music”: Is there such thing anymore? The idea of defining a group and their experience as a monolithic thing works under the guise of that group being segregated from all the other groups. But once that group becomes part of the greater culture and it’s not actively segregated, at least by law, then does the music that black artists create embody the spirit of all black people? And is it untainted or uninfluenced by the cultures that surround it? Especially in a place like America, which is a confluence of so many different cultures from around the world, and hopefully will continue to be. Carmichael: It reminds me of this Toni Morrison quote, where she talks about the job of racism being distraction. She kind of asks the question, what would we do — what could we create — if we weren’t always having to respond to racism? Racism says you ain’t human, and so scientists get to work digging that up. Racism says you don’t have true art, and so you go off and you create and dig that up. So much of our art forms has been measured by that kind of standard: Is this human, and humane, enough for us to honor it and respect it and call it art. Is there is there a white American music form that hasn’t been either touched or created first by black folks? What does it mean that American music, at its root, really is what we have been considering and calling black music all of this time? When we talk about who is more the default position in America in terms of music, if we’re really being honest with ourselves, it really is the black creators. And it always has been. 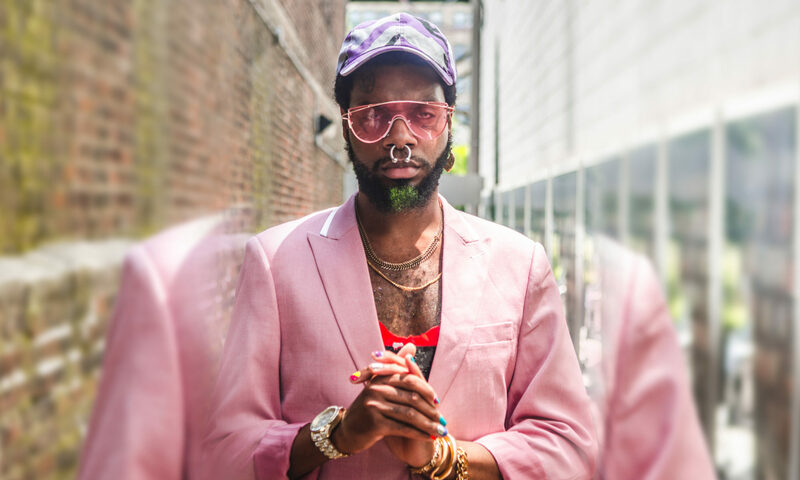 Batiste: I find it to be an interesting anthropological study to play jazz or to play classical music, to do it on some of the more mainstream stages or arenas, and to sometimes be dressed in ways that reflect the fact that I grew up listening to hip hop. When I’m performing and I decide to wear jeans and a hoodie, versus when I’m suited up, all these things are really affecting the perception of the music even if the music doesn’t change. And if the music isn’t what you’d expect from somebody who is of my demographic, then it’s viewed as either a statement, or that I’m a torchbearer, or I have some sort of message that I’m trying to sell you that is in opposition to the culture. I feel like it’s much more nuanced than all that, and you can’t really get into the depths of that without really understanding the history of our country. If we don’t go back and understand the root of why we’re still dealing with these issues, we’ll never really solve them, and we’ll never be able to separate art from racial politics. Think about how how much hip-hop, for instance, has been reflecting America’s ugliest, harshest, reality for decades. And in a lot of ways, [rather than] facing and grappling with that reality, America has has tried to police the music — instead of, you know, listening to it. So it feels like the bigger responsibility should be falling on listeners: to be able to better hear, better interpret and better understand the music or the artist, regardless of how rough or raw the message is coming. Carmichael: This kind of reminds me of that that Paul Laurence Dunbar poem “We Wear the Mask,” which is all about black people having to historically mask our emotions in public to get by in this country, or mask the real the essence of who we are. Because in so many ways, who we are has been criminalized — it has been, you know, not allowed in terms of American life. I feel like on this [Leikeli47] album, which is called Acrylic, it’s like she’s wearing the mask so that we don’t have to anymore — because she’s really creating this tapestry of black life. She reps the hood to the fullest: I’m talking about the nail salons, the swap meets, the subway stations, from from Brooklyn to Virginia, where she also has roots. And in a very similar way, you feel her dipping her toe in every genre of black music. It kind of spans the 20th century: There’s some blues in there, there’s some jazz. She brings it all the way up to the ballroom house scene. Carmichael: The narrative thread running through it, and a lot of the inspiration behind it, is the fact that his cousin was tragically murdered maybe a year or so before the album came out. And at this time when there’s so much attention on Chicago murders, he creates this really vulnerable album that finds him not only grappling with his cousin’s murder but grappling with a lot of the systemic issues that plague cities like Chicago — that nobody, media included, is really dealing with when we talk about young black men and about the music that is being created in these environments. Carmichael: I love that statistic. But I also feel like it’s kind of an empty stat, if you look at the way the industry has kept metrics for forever. When physical copies were still the main form of distributing music, we know for a fact that bootlegging and illegal downloading and album leaks really plagued hip-hop in a way that it didn’t with other genres. So in a lot of ways, the consumption of black music has been inaccurate for so long, it’s almost like we’re just now starting to get a real sense of the true numbers in the streaming age. We think about racism in these systemic ways, and to me that’s a systemic way in which it plays out in the industry — that we can’t even necessarily have a proper metric for how much black music is being consumed. Billboard just did a series last year where they looked at the lack of black music executives in the industry. You know, these are the numbers that make that kind of stuff possible, and the numbers that corporations use to determine what what they’re going to do, business direction-wise, and what kind of artists they’re going to invest in. Younger: I’m excited for what black artists are doing. I’m excited for the potential. I’m excited for what happens next. And I just hope everyone will keep listening: Keep digging, keep going outside of your comfort zone if you only are listening to certain genres or certain sounds. There’s so much black genius out here, and we have to go find it and pull it into the light so that everyone can see and embrace it and just continue that cultural and musical dialogue that we’ve always had as black people.